Steps that need to be completed in most leagues are: Sign up, fill out roster, complete waivers. See instructions on this page:Team Registration Steps or on the help page for your league. To add players to your roster, click the roster tab at the top of your team page. You can reach your team page by clicking the team name under “My Teams” on the main page. Click add. A waiver will automatically be sent to that player’s guardian. When a player’s waiver has been completed by their guardian, a check mark will appear next to that player’s name. 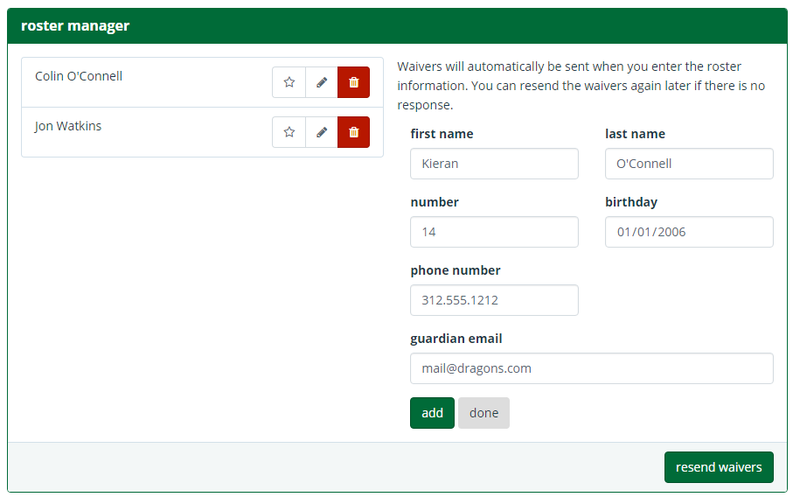 If your families need a reminder to complete their waiver, click the “Resend Waivers” button at the bottom of the page. Waivers will only be resent to those who have not completed the waiver. How do I add a coach, scorekeeper or team administrator? Do I meet the requirements to schedule games? 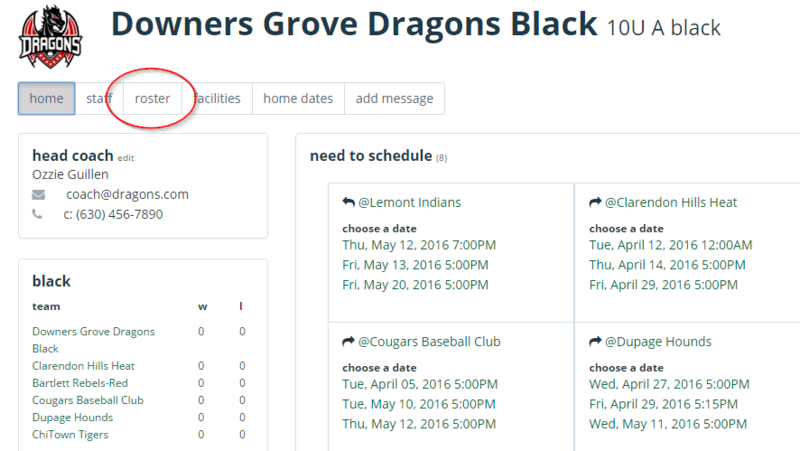 Learning how to determine if you are set to schedule games is covered on our Requirements For Scheduling Game page. Adding your field is the first step to adding home dates. While on your team’s page, click the “Facilities” tab. Click “Add Facility”. Fill in the information for your field and click add. To add a second location, click “Add Facility” and repeat. 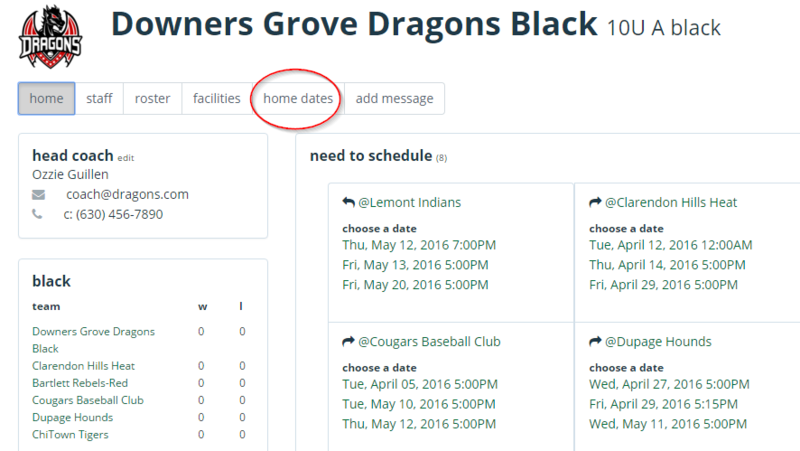 To add home dates, click the “Home Dates” tab while on your team page. Add your date, time and select facility from the pulldown menu. Then click “add”. When all dates have been added, click “done”. You can click the icons next to any home date to edit or delete. How do I add a facility or field? First, login to the website and go to your team page. You will see the games you need to schedule. Click on the date you want to play that team at their field. You have now scheduled that game. To release that date and choose another date, click “Reschedule”. Note, someone else may pick this date as soon as you release it so be sure. If someone else chooses a date before you, you will see this message. How do I offer to host a game? Instructions for offering to host a league game is covered on our Offering to Host a League Game page. How do I score a game? How do I postpone a game? Instructions for postponing a league game is covered on our Postponing a League Game page. How do I sync Season Ticker with my personal calendar? Want Email and Text Reminders For Your Games? Click the “house” icon on your team page and create a team site.